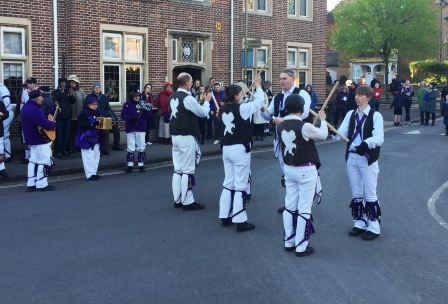 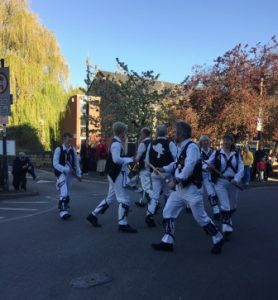 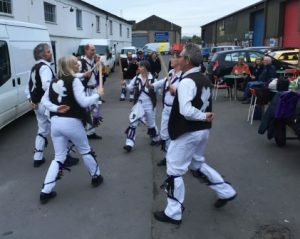 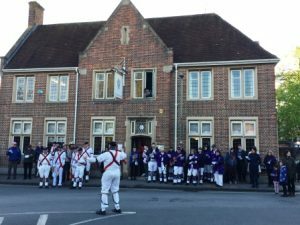 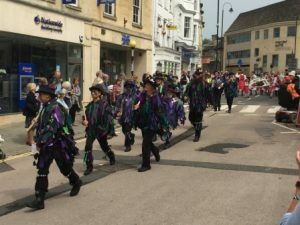 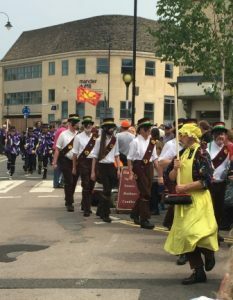 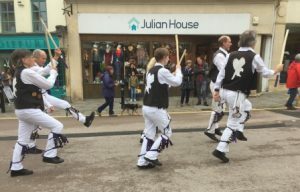 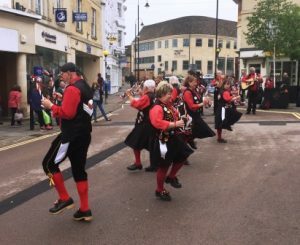 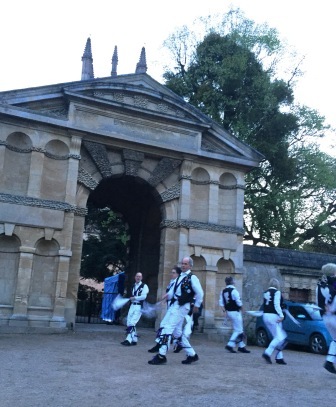 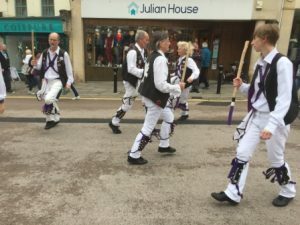 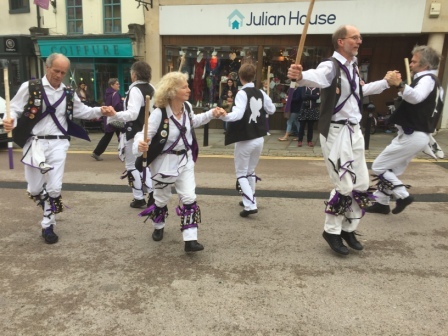 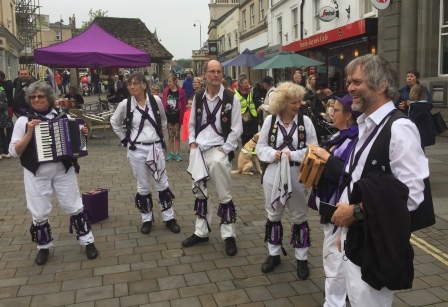 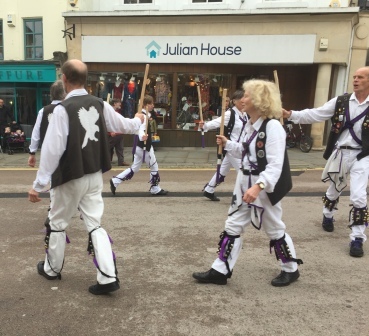 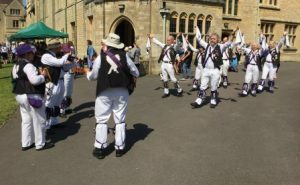 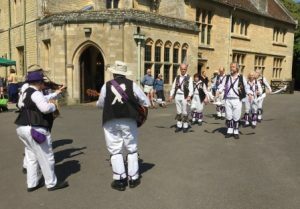 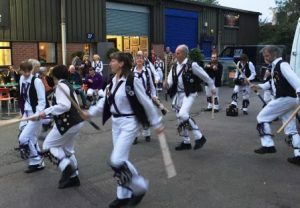 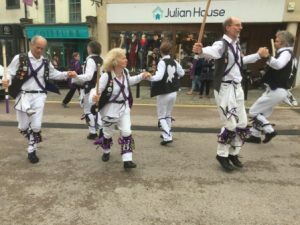 Anonymous Morris and the famous Chippenham Parade A favorite side – Seven Champions – famous Treacle Miners! 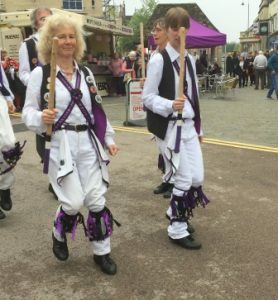 This entry was posted in Dance Outs on May 27, 2018 by Nigel Northcott. 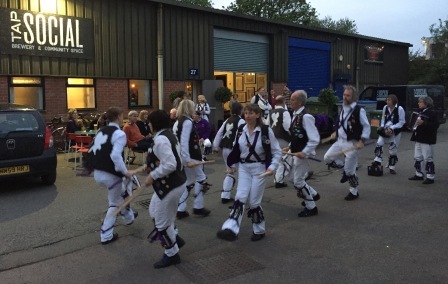 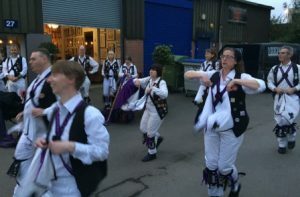 A short evening – due to rain – that didn’t really rain! 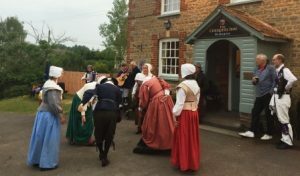 Good to see the squire taking ginger steps! 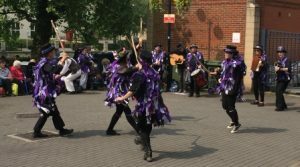 Evben mustered a few for Shepherd’s Hey! This entry was posted in Dance Outs on May 19, 2018 by Nigel Northcott. The minstrels A lovely evening on our own! 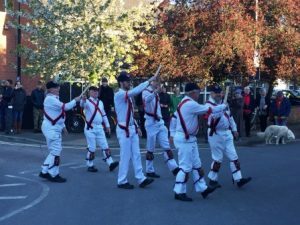 This entry was posted in Dance Outs on May 13, 2018 by Nigel Northcott. 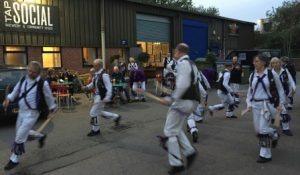 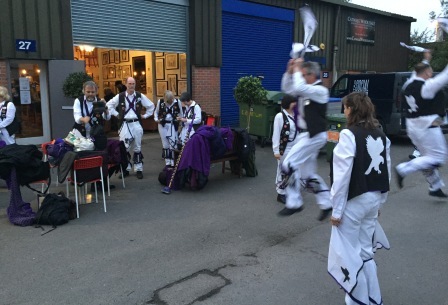 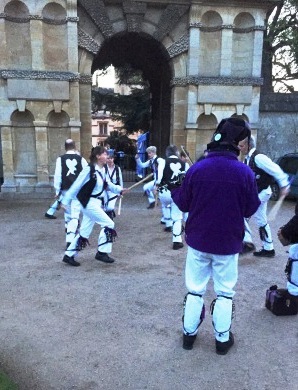 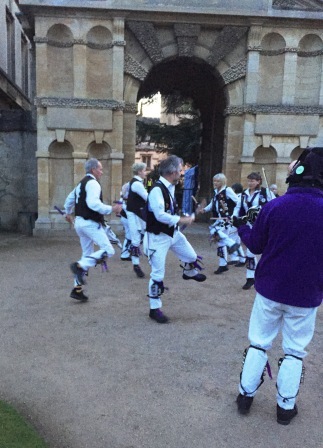 The evening ends in woe – the squire getting crocked by the ground! 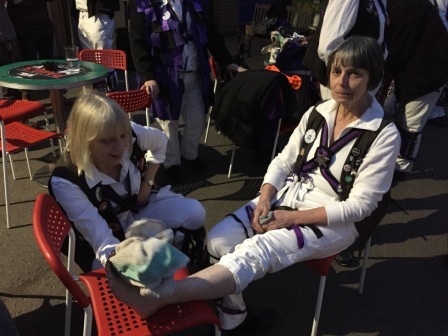 One sprained ankle later! 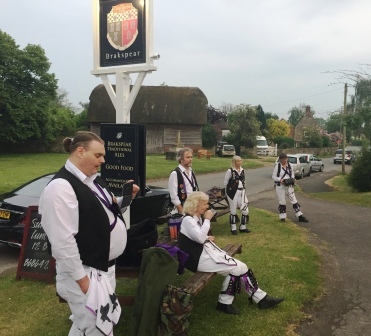 -Caption competition – on a tenner answers to me – what is she saying or thinking in each or either picture. 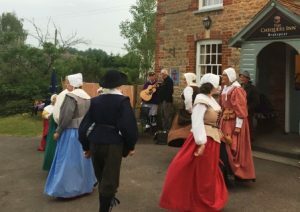 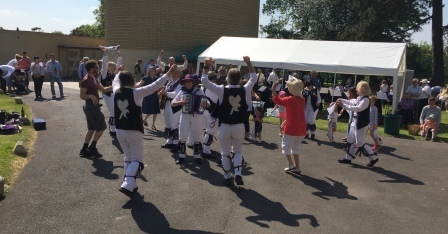 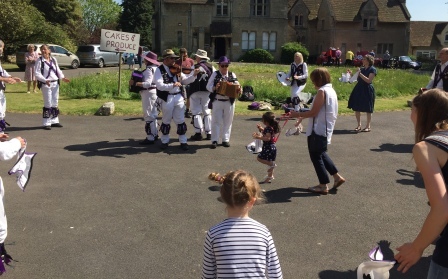 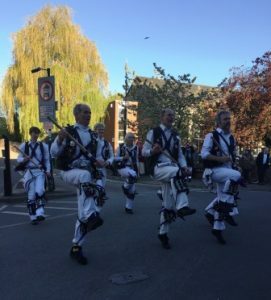 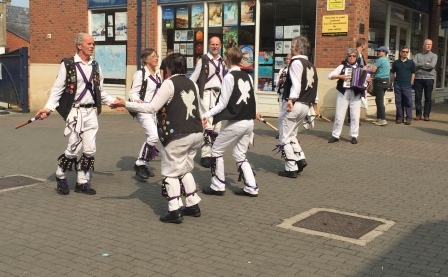 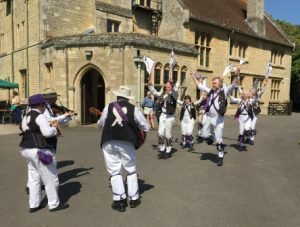 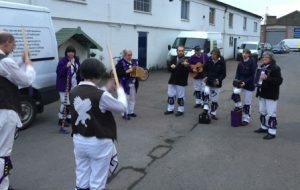 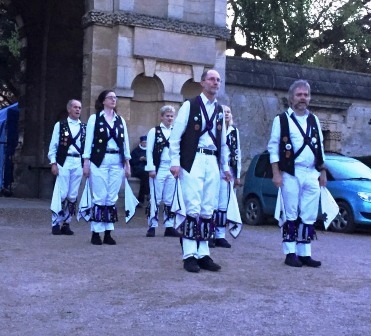 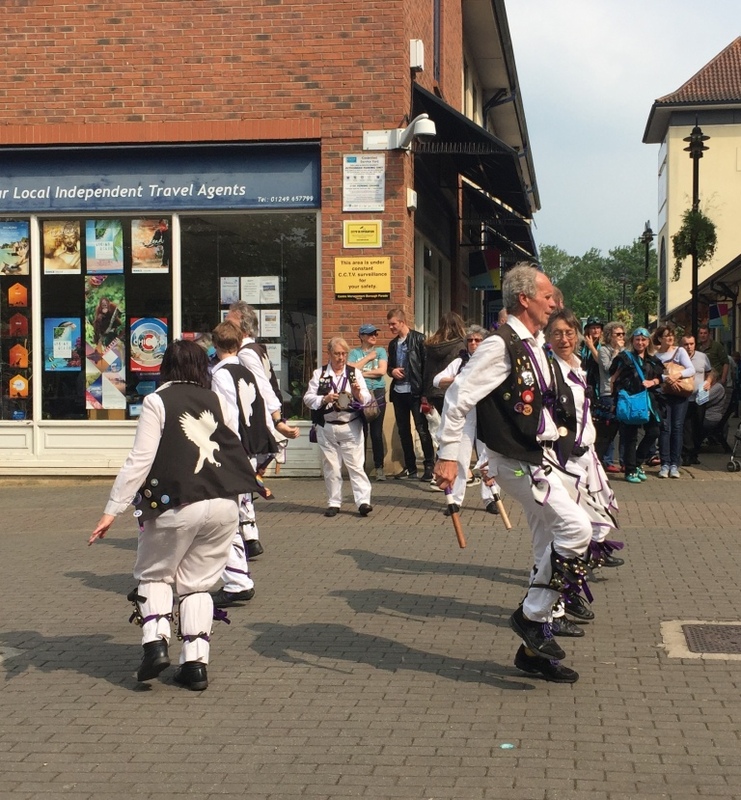 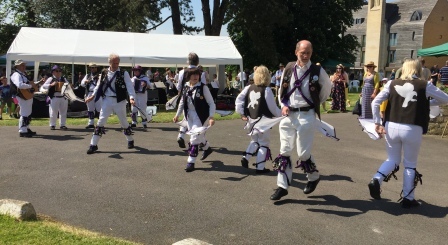 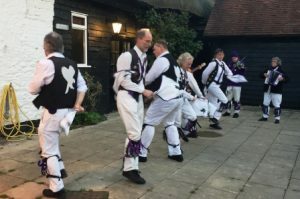 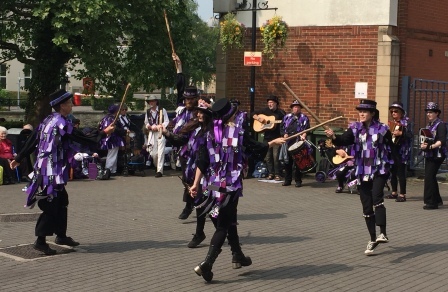 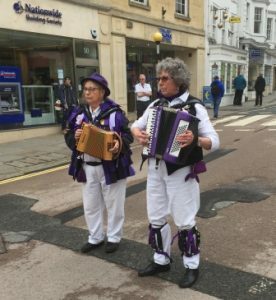 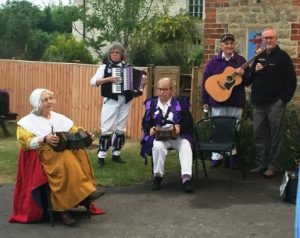 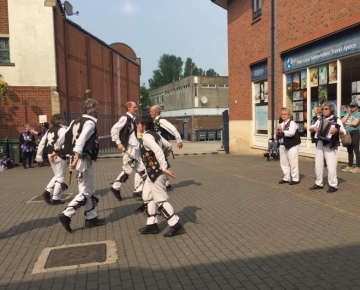 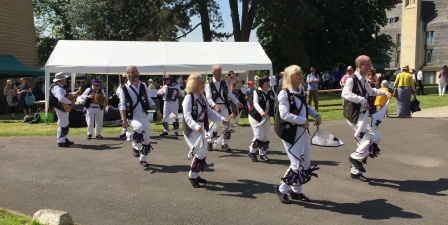 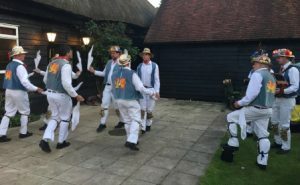 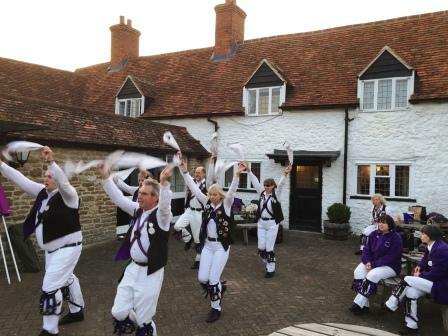 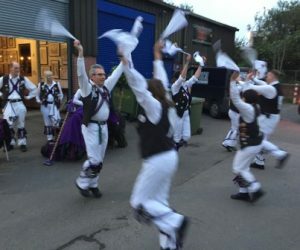 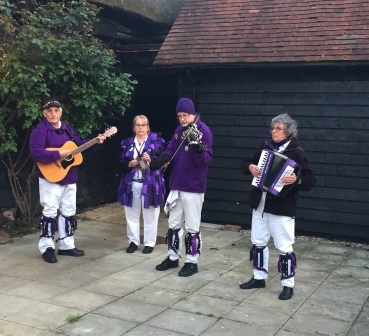 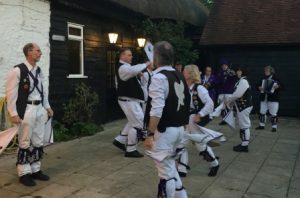 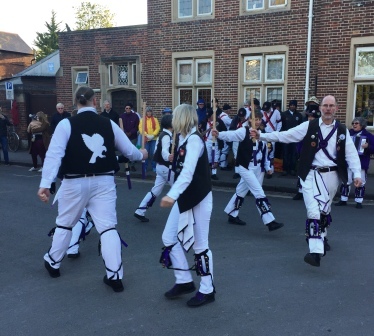 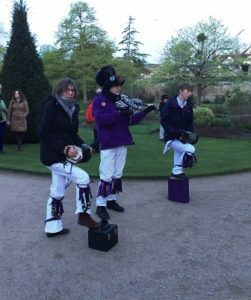 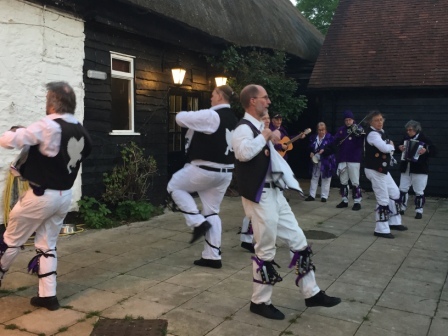 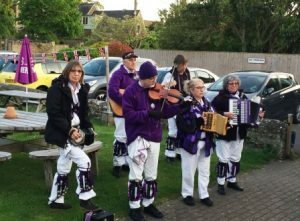 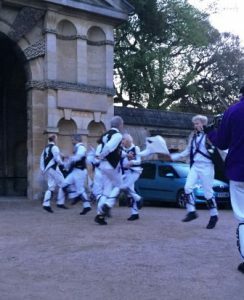 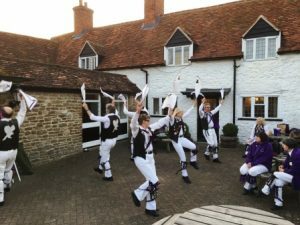 Lesley steps in a nurse and health visitor and gives advice on injury management but also can’t resist mentioned the importance of diet, alcohol and play in development and the risks of head lice – you can’t take the the HV out of a Morris dancer! 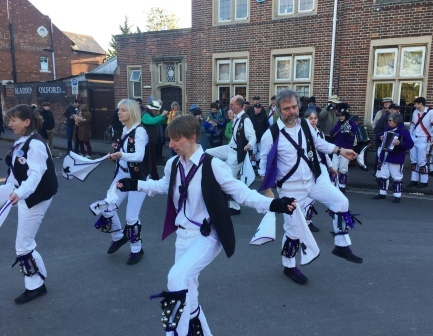 This entry was posted in Dance Outs on May 4, 2018 by Nigel Northcott. 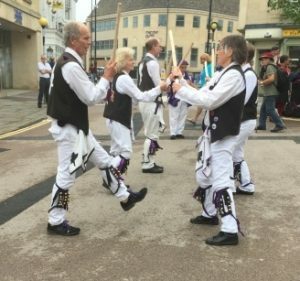 This entry was posted in Dance Outs on May 2, 2018 by Nigel Northcott. 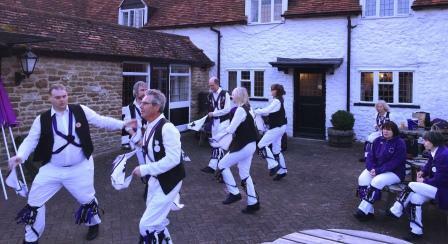 A cold but bright sunny morning! 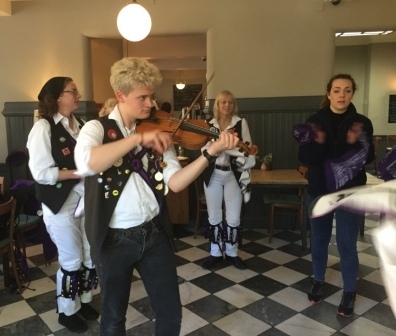 Oliver leads the playing for Shepherd’s Hey for the JACK FM reporters! 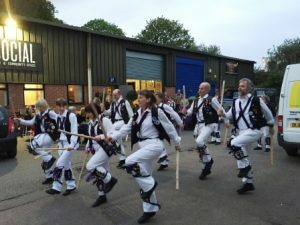 This entry was posted in Dance Outs on May 1, 2018 by Nigel Northcott.